Everything changes – everything stays the same. In a world where audio technology is shifting faster than most of the traditional high-end producers can keep up, or those producers are shifting faster than perhaps they should in an (often vain) effort to keep up, there’s something reassuring about these conrad-johnson amplifiers. In a market where well-established brand identities and product formats are daily being sacrificed to the twin gods of CNC machining and ‘visuals’, there’s something almost quaint about products that are more than just instantly recognisable – outwardly they’ve barely changed in the last 10 or 15 years. Oh sure, they’ve changed in detail, but even allowing for the full-height front-panel and rack handles on the MV45 (c-j’s original ‘everyman’ amplifier) the latest additions to the Virginian company’s extended family seem little different to their spiritual forebears from three decades ago: The same gold front panel; the same crackle black chassis; the same slotted tube cage and the same simple but effective hardware; all are deep in the DNA of c-j amplifiers. Of course, if it ain’t broke don’t fix it and c-j amps have enjoyed a stellar reputation for their unfussy musicality down the years. Seasoned c-j watchers will be quick to point out the differences here, but they should also point out what is both the brand’s hallmark and its greatest strength: the painstakingly incremental, evolutionary approach it brings to product development. So the surface detail might change (component or tube types) but the underlying structure (topology, hardware, and construction) stay pretty much the same. If you’ve used a c-j amp before then nothing here will surprise you, from the simple fixed bias arrangement with its accessible trim-pots and LED tell-tales, to the basic appearance of the socketry and the absence of all but the necessary connections: no balanced inputs, no multiple output taps, and (thankfully) no ultra-linear/triode switching. What you have here is essentially one amplifier writ two (in fact, four) different ways. The Classic 62 (£4,895) is about as simple as an ultra-linear tube amp gets, bringing all the traditional virtues – including its ‘traditional’ EL34 output tubes – to the musical party. Small enough to accommodate, powerful enough to run real speakers, it’s no surprise that the combination of dynamic and rhythmic integrity with the sense of colour and presence the topology delivers have made the push-pull, stereo chassis a staple in the UK market. 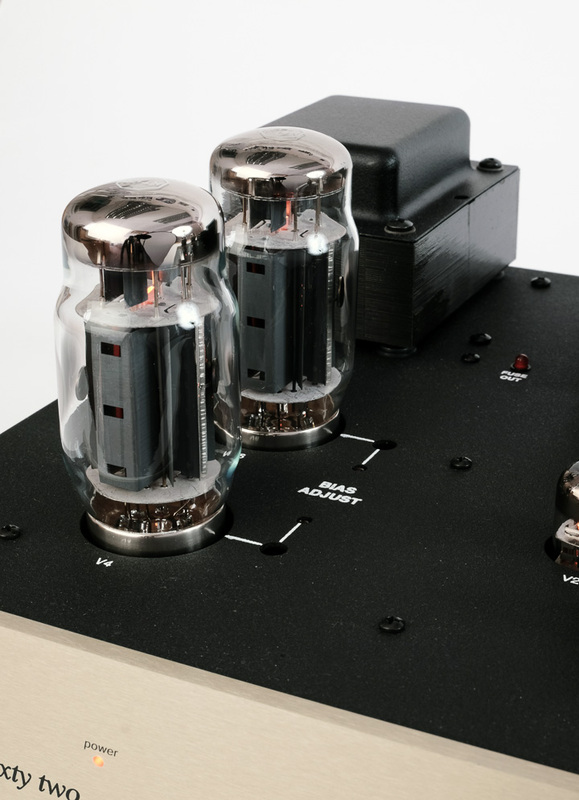 Even so, there are situations where 60 Watts just won’t actually cut it – for which c-j, in time honoured fashion, have added a second pair of output tubes per side to create the Classic 120 (£8,995). So far so good and also, so very familiar: Where c-j deviates from the norm is in their development of refined versions of each basic design. Witness the TEA 2 phono-stage, available in no-fewer than three outwardly identical versions, each sporting identical circuit topologies, but separated by the choice and quality of the components used, the performance delivered, and the price asked. This ability to apply the experience gained with esoteric componentry and the knowledge of how it works in concert, to wring the subtle, incremental, but musically all-important benefits from an existing circuit has become the c-j party piece. The clearly defined musical and sonic performance benefits that attend each level of componentry when applied to the TEA 2 is both impressive and brooks no argument, the SE and MAX variations more than justifying their elevated costs. Which brings us back to these current, Classic amps – and the decision to jump straight to the SE versions. Experience shows that, as practical and effective as the standard models are, the SEs bring that special something to proceedings. They also bring a scattering of c-j’s proprietary Teflon capacitors, deployed at strategic points throughout the circuit and a change of output tube, from EL34 to KT120. In theory, the bigger bottles should (could) provide more power, although c-j rate both the standard and SE models the same. It should also be noted that this is no straight swap, as the KT120 demands significantly higher supply voltages and draws a lot more current. However, what the switch to the KT120 does deliver is more headroom and greater control at frequency extremes. The EL34, long-loved for its glorious mid-band is beginning to show its age when confronted with modern, wide bandwidth loudspeakers – of which more later.